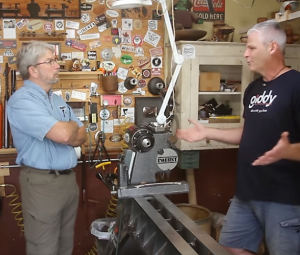 I had the pleasure of visiting Carl Jacobson, YouTube woodturner and maker extraordinaire at his shop while I was in Portland a few weeks ago. Carl shot and edited this video of us interviewing each other and doing a little turning. Enjoy !